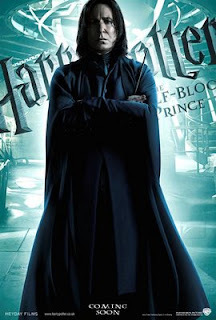 Should I Watch the Harry Potter and the Half Blood Prince? | To Be, To Be. Tutubi. kaya nga "mother" eh. Kids first hehehe. Then kaw nmn after. Hey I'm back from the dead. I just hope I can keep up. Dami ko hahabulin. There's only me and my son so the math is not that high. Maybe you can tell your son that the next movie he wants, you can watch in theaters. Para fair. I'm a fan of both, too. Watched Transformers2 sa mall and hopefully, I can get to watch HP6 in movies too. @pehpot-i cant e. i have been telling him to read the books. tapos before start ng classes, nag HP marathon kami so now, excited din sya sa movie. e kaso,ang mahal. ha ha, kuripot ako e.